Free and easy realtime viewing software with instant auto-refresh from Advantage Software. Bridge 2.0 supports CaseView protocol and is compatible with all modern CAT systems. Bridge Mobile is a feature-rich app for realtime viewing, research, and notations of depositions and trials. It works with all modern CAT software, so you can use any court reporter. 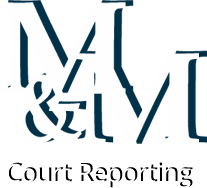 You can connect to the court reporter locally or in the Cloud. iCVNet provides attorneys and judges instant viewing of realtime deposition and trial transcripts on an iPad. CaseViewNet client viewer provides interactive realtime access to testimony through a court reporter's private network, either wirelessly or wired. In its most basic form, CaseViewNet accepts a traditional serial feed from any court reporter and will work as a standard platform in any realtime environment.